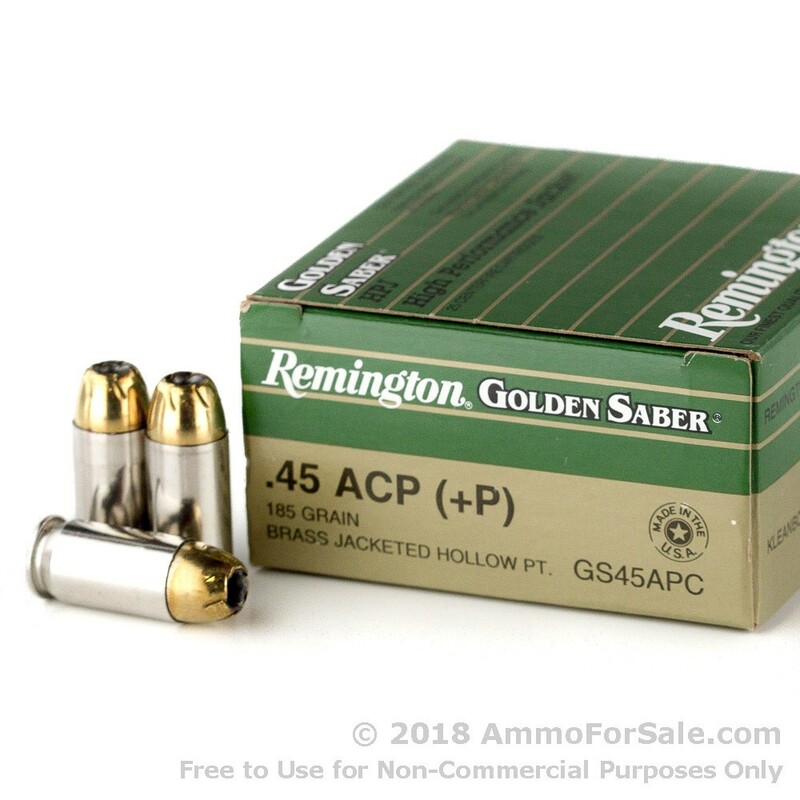 If you're looking for one of the top personal defense rounds on the market today, you'll want to check out this Remington Golden Saber 185 grain +P .45 ACP jacketed hollow point (JHP) ammunition. Extensively used by military and law enforcement personnel around the United States, this ammunition is made for anyone who needs a reliable round for personal protection. The "+P" indicates that these rounds are loaded to higher pressure than traditional 45 ACP ammunition. 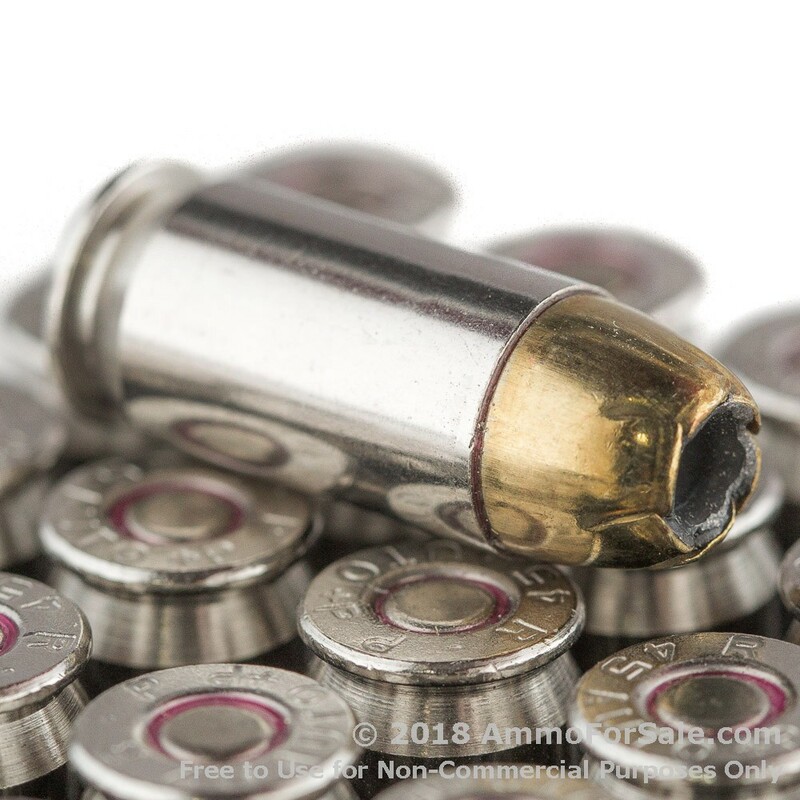 While some shooters prefer +P ammo for self-defense, many firearms manufacturers warn that the increased pressure load can cause more wear and tear on your pistol and it is not recommended. So before you decide on +P, make sure you understand if your firearm can handle it. Can you handle it? Remington Golden Saber ammunition combines the most important elements of a top self defense round: outstanding accuracy, excellent penetration, controlled expansion, and high weight retention. The top quality nickel-plated brass cases ensure split second reliability and performance. The water resistant primers must pass strict testing requirements at the manufacturing facility before being sealed with a waterproof lacquer. 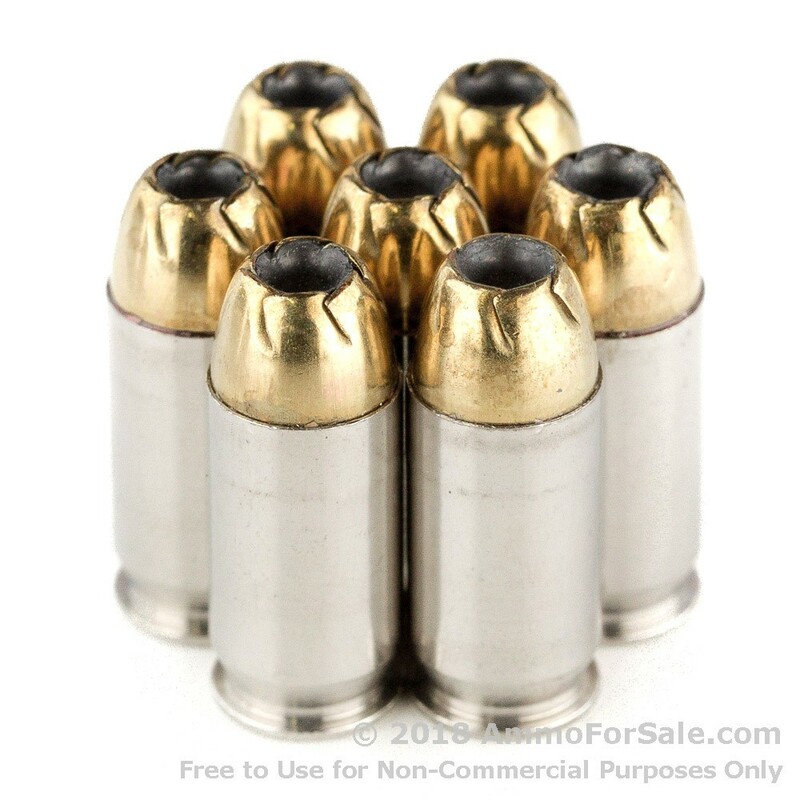 Made with non-corrosive, boxer-primed, nickel-plated casings that are reloadable. Avid shooters, members of the military, and police officers have used Remington ammo for personal protection for years. If it's good enough for our nation's finest, we think it's good enough for us. This ammo is perfect for concealed carry or home defense. When carrying this round you'll be able to thwart anything that comes your way. The expected muzzle velocity is 1140 feet per second and this ammo comes in a 25 round box.